Stacy Schiff was born in Adams, Massachusetts in 1961. She graduated from Philips Academy in Andover, and earned a BA from Williams College in 1982. She worked as a senior editor at Simon & Schuster until 1990. Her articles have appeared in many major literary journals. In 2000, she won the Pulitzer Prize for her biography, Vera, who was the wife and muse of Vladimir Nabokov. She was a finalist for the 1995 Pulitzer for her biography, Saint-Exupéry. 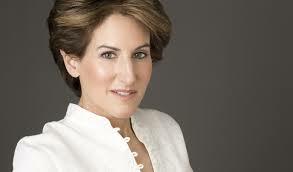 Schiff resides in New York City, serves as a trustee of the John Simon Guggenheim Memorial Foundation, and she is a guest columnist at The New York Times. My main problem with the book involves the structure. She begins with a six page “Cast of Characters. This daunting list greatly impeded my reading, as I found it annoying to constantly have to go back and forth to figure out who was whom. Many of these individuals had hardly more than a scant mention. She then provides a detailed list of the incidents labeled as witchcraft. She clearly has catalogued the detail I craved. She then tells the story of 1692 – about a 9-month period when the accusations began, individuals arrested, imprisoned, hung, and one unfortunate individual who was “pressed” to death. And then I arrived at the last two chapters. These pages saved the book for me. Several times I toyed with the idea of invoking my rule of 50 – even when I was well beyond 50 of the 400 plus pages – but I resisted. I felt I was missing something. I was missing the ending. Schiff neatly ties up the main characters, their real motivations – land grabbing, power grabbing, and personal vendetta, along with a slew of children who had childish reactions to parental authority. Schiff suggest at least some of these children were prompted by adults for revenge over long standing disputes. The amazing part is the lack of records kept by the normally attentive Puritans. Most were rambling, fragmentary, and many were destroyed in order to erase the memory of the events. Apologies were few and far between – some not coming until well into the 18th century. I did learn a lot from the book, and I am sure an expert on late 17th century Salem, would get much more than I did. What fascinated me, however, was the horrible damage wreaked by the intermingling of religion and government. Most of the judges were Puritans. They lost nothing to the Taliban or ISIS in their zealotry to save the colonies from the work of the Devil. No one bothered to explore the reality or mythology of the prince of hell. So it is no wonder the judges – assuming the devil was behind all the evil in the town – did not bother to verify any of the claims of children as young as ten years old. The searching of suspect’s bodies for moles, warts, or birthmarks as evidence of witchcraft was nothing less than flabbergasting.